Is Hillary Just the "Fall Guy" for the Intel Agencies and their Moneybag Bosses? "The Hillary Clinton campaign and the Democratic National Committee helped fund research that resulted in a now-famous dossier containing allegations about President Trump's connections to Russia and possible coordination between his campaign and the Kremlin, people familiar with the matter said." "When Trump got the nomination of the Republican Party, the people 'doing it' (gathering raw intelligence for the dossier) came to my campaign lawyer, and said, would you like us to continue it. He said 'Yes.' He is an experienced lawyer and knows what the law is. He knows what opposition research is. It's part of what happens in a campaign where you get information that may or may not be useful and you try make sure anything you put out in public arena is accurate. So this thing didn't come out until after the election and it's still being evaluated." Clinton wasn't asked why her campaign tried to obfuscate their role in financing the dossier or whether she felt any remorse for the way the Russia hacking allegations had ballooned into four major investigations on Capitol Hill. She wasn't even asked to comment on the motives of the people who continued to fund the dossier after the DNC terminated their contract in November 2016. Wasn't she suspicious that these new financiers might have more nefarious objectives in mind, after all, who continues a smear campaign after the election is over, unless, of course, they intend to inflict even more damage on the two main targets, Trump and Russia? Wouldn't Hillary have figured that out? Technically speaking, Clinton was right, it was opposition research, which in political parlance means "digging up dirt on one's opponent." And, yes, it is perfectly legal. But the Trump dossier was much more than that. It was presented as the work of intelligence professionals who were unattached to any political organization. Had the public known that the dossier was financed by the Clinton campaign, they would have known that it was a "malicious and defamatory" hit-piece aimed at improving Clinton's chances of winning the election. "The New York Times senior White House correspondent Maggie Haberman and reporter Kenneth Vogel are slamming Hillary Clinton's campaign and the Democratic National Committee (DNC), saying they lied about funding for the so-called Trump dossier. "'Folks involved in funding this lied about it, and with sanctimony, for a year,' Haberman tweeted to her more than 650,000 followers on Tuesday." Clearly, Clinton did not want the American people to know the real origins of the dossier for fear that they would dismiss its findings as politically-motivated and unreliable. So they lied, and by lying, they helped to fuel the anti-Russia hysteria that's swept across the country sabotaging any chance for rapprochement between the two nuclear-armed superpowers. But, why? 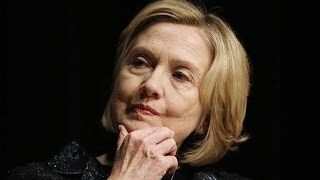 Why would Hillary persist with the "hacking-collusion" meme after she had already lost the election and had nothing to gain by smearing Trump? That's not a question that can be easily answered, but I suspect it has less to do with Hillary's presidential ambitions than it does with the way her campaign found common cause with powerful members of the intelligence community who wanted to use the hacking narrative to pursue their own geopolitical strategy of isolating, punishing and demonizing Russia. "Russian meddling" became the perfect rallying cry for the CIA's broader information operation (IO) that was designed to poison public opinion against "Russian aggression" and to reign in Trump's plans to normalize relations with Moscow.